Currently I’m the Co-Founder/CEO of Packet Pushers Interactive LLC. This all started because I like writing. I mostly write technical content but this is my personal site where I express my personal opinions and views . You should go to my other sites and social for my technical content. PacketPushers.net – a leading provider of professional development for Infrastructure Professionals as podcasts and writing. Greg Ferro is Co-Founder of Packet Pushers Interactive LLC. An emerging media company covering the technology market from the perspective of an enterprise customer. Well known for “Packet Pushers Podcast” at PacketPushers.net where he interviews network engineers, vendors and industry figures on a range of highly technical topics where the motto is “Too Much Networking Would Never Be Enough”. Today, Packet Pushers is a substantial media property with more than a million user engagements per month delivered across multiple media types and continuing to develop new media products. 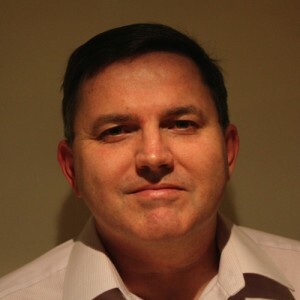 I worked as a freelance/contract Network Architect & Engineer in the UK and Australia for about 25 years. I worked with a diverse range of large employers from government, health, energy, resellers, outsourcers, banking/finance, telco/carrier and more. I did a lot of design and deployment of Data Centres including Network Fabrics, Data Security, Cloud and Internet plus more conventional WAN and Campus type work. I generally preferred working for end users for the satisfaction of achieving real results. Its not clear where my perspective on technology comes from. I love technology, solutions and helping businesses to reach their goals. Technology is an amplifier not a product. Good technology amplifies production, speed and abilities of real business and peoples lives. Bad technology has the opposite effect and creates suffering, sadness and distress. I’m passionate about tools. I spend (waste?) time looking at software tools to improve my work. Good tools and proper use are the sign of a craftsperson. I wan’t always this cynical. Surviving 25 years of Enterprise IT made me this way. I consider myself an introvert. Publishing content & views openly is not natural for me and I’ve spent a lot of time learning to accept, adapt and overcome. I was born in Brisbane, Australia and spent my teenage years in Central Australia before returning to Brisbane. Today I live in Cheltenham, Great Britain with my wife and nearly grown daughters after moving here about 15 years ago. I am a cancer survivor when I was 19. I was lucky to have a “good” kind of cancer but it had an impact on my personality. Most things change without notice. Greg widely known for his blog at EtherealMind.com where he writes regularly about many aspects of Data Networking since January 2008.